What's your favourite Parsifal? I'm currently ploughing through the Knas and liking 1951 and 1962 as most do. There are enough Knas to sink a ship, and they must be pretty near the top, but what of Karajan and the others? My faves (aside from Knas) include Goodall (EMI/Warner) and Boulez (DG). I wish a Klemperer performance had been preserved. The music seems to fit his style like a glove. Solti/VPO. Kollo is ok- certainly better than Peter Hofmann for Karajan. The rest of Solti's cast is superior, particularly Frick and Kelemen. The latter , Zoltan Kelemen, had a memorable voice-a laser-like bass-baritone with no trace of wobble. Solti's conducting in Act II (Klingsor's Magic Castle and The Flowermaidens) is riveting. Lots of intellectuals have fun with Parsifal.. In 2006 Susan Sontag wrote an experimental text (whatever that is) titled "A Parsifal" She begins with the one line from "Parsifal" that all modernists go ga-ga over- "they say time becomes space" .. Some of you will remember how Boulez pondered this line in his essay on the Master's last work. Finally I heard a talk by Franz Welser-Most, where he said (I'm not kidding) that in the line "Here time becomes space", Wagner anticipated Einstein. The audience began laughing, and Welser-Most was taken aback. There are several excellent ones, other than Kna (don't forget about his 1964 performance with Vickers). Barenboim's is strongly cast (other than a weakish Gurnemanz), and in excellent sound. Armin Jordan's cast on Erato is even better (except for a rather ordinary Parsifal from Goldberg), but I find the conducting slack. I do like Karajan's, largely because the beauty of the orchestral playing and Moll's Gurnemanz. Best of all is probably Kubelik's, with James King, Moll, and Minton. I've been listening to a few of the Knas on YT to start my search, and one thing I've discovered is that Act 1 is a perfect cure for insomnia. I'm always looking for music to fall asleep by and this is it, especially with Kna conducting. Of course, this is a very pleasant way to fall asleep, so no problems there. The only potential problem is coming up against singers that don't satisfy you or irritate you, since you're quite sensitive in the early hours. I need to hear the Karajan in full - not on YT, and neither is the 1964 Vickers. I don't know about Solti - I like his Meistersinger and Gotterdammerung but ideally I'm after something more spiritual. I'm also less of a fan of Kubelik than many others - I never warmed to his Meistersinger for instance and his conducting stays largely earthbound for me. For now I'm trying to sort out the many Knas. The 1951 and 1962 are pretty much as good as they are always made out to be, and the good stereo sound in 1962 is a big bonus. Talking about people who have written about Parsifal, have you read Mark Twain? "The first act of the three occupied two hours, and I enjoyed that in spite of the singing. [...] it seems to me that the chief virtue in song is melody, air, tune, rhythm, or what you please to call it, and that when this feature is absent what remains is a picture with the color left out. I was not able to detect in the vocal parts of "Parsifal" anything that might with confidence be called rhythm or tune or melody; one person performed at a time--and a long time, too--often in a noble, and always in a high-toned, voice; but he only pulled out long notes, then some short ones, then another long one, then a sharp, quick, peremptory bark or two--and so on and so on; and when he was done you saw that the information which he had conveyed had not compensated for the disturbance. [...] An ignorant person gets tired of listening to gymnastic intervals in the long run, no matter how pleasant they may be. In "Parsifal" there is a hermit named Gurnemanz who stands on the stage in one spot and practices by the hour, while first one and then another character of the cast endures what he can of it and then retires to die". through the Knas and liking 1951 and 1962 as most do. pretty near the top, but what of Karajan and the others? One of the very few works that actually resonate with him. Contrary to what I expected I'm enjoying Solti - totally love Christa Ludwig. Makes up for missing Regine Crespin in the generally less good Knas. And the VPO and Decca recording are big draws. Still the plot is insufferable. What Wagner opera doesn't have a ridiculous plot? But even Meistersinger has a ridiculous plot - can you imagine a wealthy gold dealer fixing up an arranged marriage with a singer-songwriter when there are perfectly good lawyers and doctors available? I've been listening to Parsifal recently, and going against general preference for Karajan, I found his interpretation melodramatic and artificial. Not only that but the recording is rather distant. I went back to Solti and the recording is much clearer and more immediate, and the performance reveals more about Wagner's actual score without the distortions that Karajan introduces. I ended up quite shocked at how little I responded to Karajan. For me you have to hear this work from Bayreuth and the one recording that actually sounds the way this work sounds in that theatre is the 1962 Philips recording. The orchestra and chorus are both magnificent and the cast involved. As an addenda I would add the 1964 Bayreuth in its official release from Bavarian radio with a really wonderful cast and Kna in his last Parsifal at Bayreuth just owned this score lock stock and barrel. owned this score lock stock and barrel. Without even a smidgen of doubt, I concur. This work belongs to Kna and anyone who says otherwise has no soul. While it is certainly possible to imagine a very different and equally valid approach to the work, it is not possible to imagine a more beautiful statement of the score. What one comes away with is the luminosity of the texture - the work shines from beginning to end and Kna's apparent total sense of peace with the score. Instead of fighting its slowness and inwardness he realizes that is the point of the music and settles down to render it. On the one hand one can stop and admire the care and beauty of balance and detail in almost any bar; and on the other one could mark down and follow one continuous phrase marking from the beginning of the prelude to the end of the postlude. Bar for bar Parsifal is the most singing beautiful score Wagner wrote and Kna brings that home to us. score Wagner wrote and Kna brings that home to us. have been composed for a bladder-less audience! anyone who says otherwise has no soul. Enviado desde mi iPad usando NewsTap, Juan I. Cahis, Santiago de Chile. songwriter when there are perfectly good lawyers and doctors available? In the 15th century ?!? perfectly good lawyers and doctors available? what can one say about Parsifal? Total brain damage? silly so Parsifal's doesn't bother me. The lack of conciseness does. To the true Parsifal-ite the work is not long at all - time is relative. I put Act 3 on to send me to sleep. I get a marvellous quarter of an hour and the rest sleeps with the fishes. - At the final uncovering of the Holy Grail, the violins soar upwards, the harmonies become clearer, and everything finally dissipates into nothingness. It's like a final breath, the utopia of a dying man, as it were - a very beautiful, holy, peaceful utopia. that is indeed very little consolation. - To live is to suffer, to survive is to find some meaning in the suffering. To live is to drink coffee and eat sushi. Not exactly. I like it in small portions. That's what opera should be nicht wahr???? a fusion of text, music and all the rest. I would really like to hear a piano version. "Parsifal is a 1982 West German-French opera film directed by Hans-Jürgen Syberberg, based on the opera of the same name by Richard Wagner. It was shown out of competition at the 1982 Cannes Film Festival. The soundtrack is a complete performance of the opera; however the imagery used is a melange including medieval costume, puppetry, Nazi relics and a giant death mask of Richard Wagner. The Grail itself is represented by Wagner's Bayreuth Theatre and Parsifal's key transformation is portrayed with a change of actor to an androgynous but deliberately female suggesting form in order to achieve a union of male and female at the conclusion of Act II." know a performance on "period instruments" lead by Thomas Hengelbrock? I've been wishing for years someone would reissue this recording from Bayreuth in 1971 under Jochum. Used copies are too expensive! Like one Amazon reviewer I am curious how the great spiritually sensitive interpreter of Bruckner handles Parsifal. Maybe Orefeo could get access to better tapes and give us a release worth buying. Those who have said they really like the Solti might be happier campers in a few months when UMG releases it in remastered form with a BluRay version included. The Solti Tristan in that format arrives here in just a few weeks. complete Parsifal version but nobody has recorded it. Heading now to the Stanford Music Library. - Liszt's Wagner transcriptions amount to 12...the last, from 1882 an excerpt from Parsifal. Not at the same time. Sushi on the hour. Knappertsbusch's 1951 Decca Parsifal recording was my unforgettable introduction.I have heard and purchased almost all recordings of this towering masterpiece, but first loves always make a difference. Love at first listen and it is still available. Check below for details. kind, pray tell)--which I assume complement one another. --which I assume complement one another. Whatever I can afford. Springbank if possible. the Chopin and the Tchaikovsky. Talisker. And it is renewable! I don't know. Purgatory ends; Heaven is eternal. Zum Raum wird hier die Zeit! hearing sections of slow music for the second, third or fourth time. they do it to the Magic Flute, Carmen and even Boheme. There is a cut recording of Parsifal (the Callas) but rightly it is never cut. 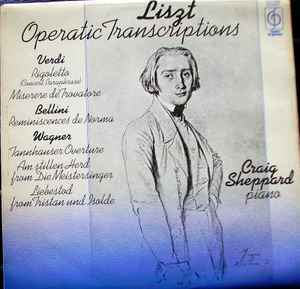 As for the others I don't think I have ever heard cut versions of any of those operas. He knocks 20 mins or so off it. I only know the ACT II from this performance, but check out Callas/Gui/La Scala/live early 50's for the most stunning possible conducting and Callas a sensational Kundry. In Italian, of course. Available in quite good sound as part of a Callas compilation on Gala. That's a very good description. I agree entirely. - It is one of the best recordings of Parsifal issued to date. Just an update - I'm going faster in Parsifal. Solti, Thielemann, Krauss and Boulez. I'm increasingly finding it hard to listen to Kna, Karajan and the 'spiritual' guys. The longitudinal melodies make more sense to me at a faster tempo, and in a work as long as this there's a case for more drama than reverence to keep things alive. I'm sure others disagree with this. - ...We must accept that the difference between Wagner’s ideas on tempi and the slower performances that are customary today is even greater. - Every tradition grows ever more venerable the more remote its origin, the more confused that origin is. The reverence due to it increases from generation to generation. The tradition finally becomes holy and inspires awe. There's only one problem with this hypothesis - there's absolutely no evidence that performances of Parsifal are slowing down. If you look at the 10 slowest performances eight of them date from before 1960. - In a program essay, he made a persuasive case that tempos in “Parsifal” had generally become slower since its premiere in 1882, citing such diverse factors as failure to heed evidence from Wagner’s day and a tendency during the Nazi era to overly sentimentalize the work....Toscanini’s was the slowest, at 4 hours and 42 minutes, with James Levine close behind. Have you tried Karl Muck?